28.02.2015. Leicester, England. Aviva Premiership. Leicester Tigers versus Sale Sharks. 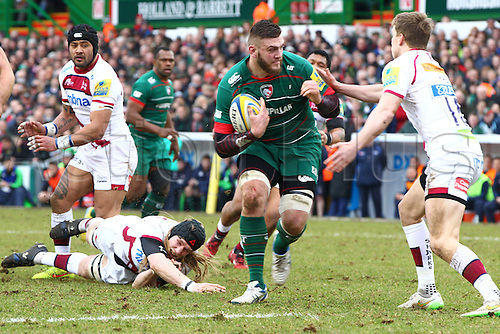 Laurence Pearce (Leicester Tigers) on the charge.